In the final days of the annual Open Enrollment Period (OEP) under the Affordable Care Act, many rushed to get enrolled in qualified health plans. Those who missed the deadline are left wondering what options they have to obtain health insurance. Good news! Even after annual OEP has ended, there are still health plans and coverage available for NAR members. There are two main ways in which NAR members can get coverage outside of OEP: through a Special Enrollment Period (SEP) or through our alternatives to qualified health plans. As a member of the National Association of REALTORS®, you have access to a variety of alternative health plans, all of which are available for NAR Members year-round. While REALTORS® Core Health Insurance plans do not meet the mandated coverage necessary to avoid penalty under the Affordable Care Act, many REALTORS® have taken advantage of these valuable plans, as a QHP alternative. Qualification depends on a few questions, and approval is issued instantly. Please note, Short Term Medical Insurance plans do not meet the mandated coverage necessary to avoid penalty under the Affordable Care Act, however these plans can be very attractive, due to flexible coverage options and the affordability they offer. 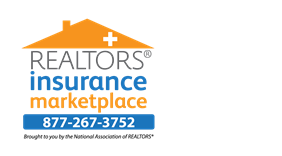 If you have questions about any of the plans offered through the REALTORS® Insurance Marketplace, speak to a licensed agent by calling 877-267-3752. It’s not too late to find health coverage.